"As far back as 1200 B.C. 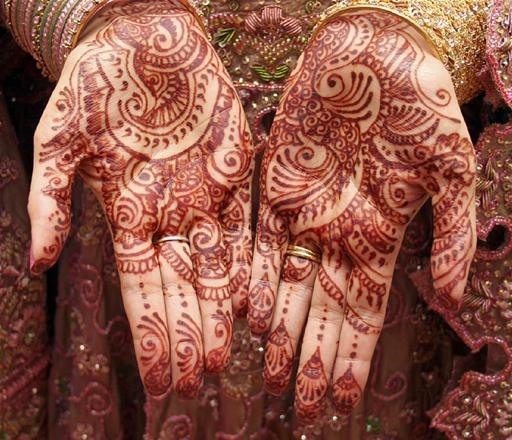 the ancient Egyptians were using henna on their nails and hair. 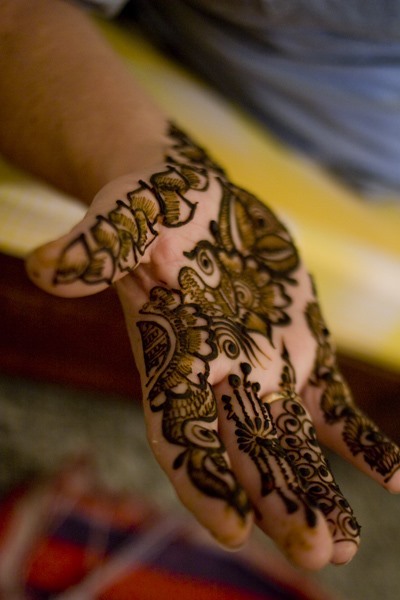 Henna was also used to dye animal skins, textiles, and men's beards. 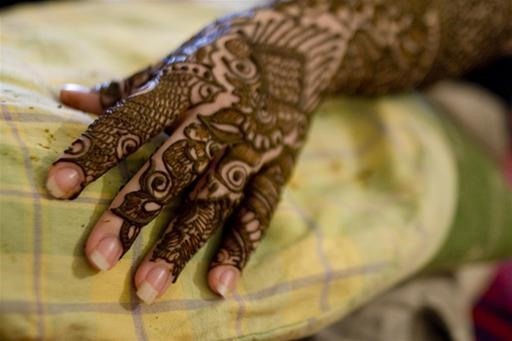 Once the henna plant's cooling properties were discovered, painting the skin became a way for the desert people of India to cool down their body temperatures." -Earth Henna. Check out some amazing examples below. Scroll all the way down for Henna HowTo. The attention to detail is just incredible. 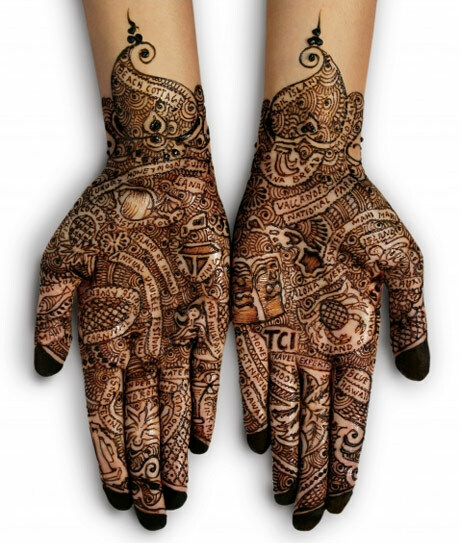 Earth Henna is a great site. 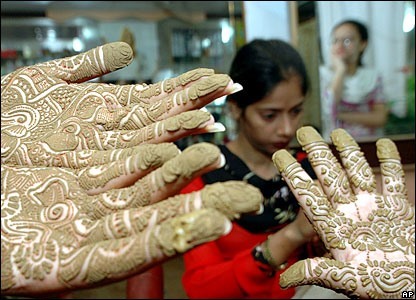 I found my wedding mehndi artist there.